SK-DM-12WLC shown. Click here to see a wide selection of our products. Available in acrylic flat or convex mirrors with diameters of 8" or 12" with metal handles. 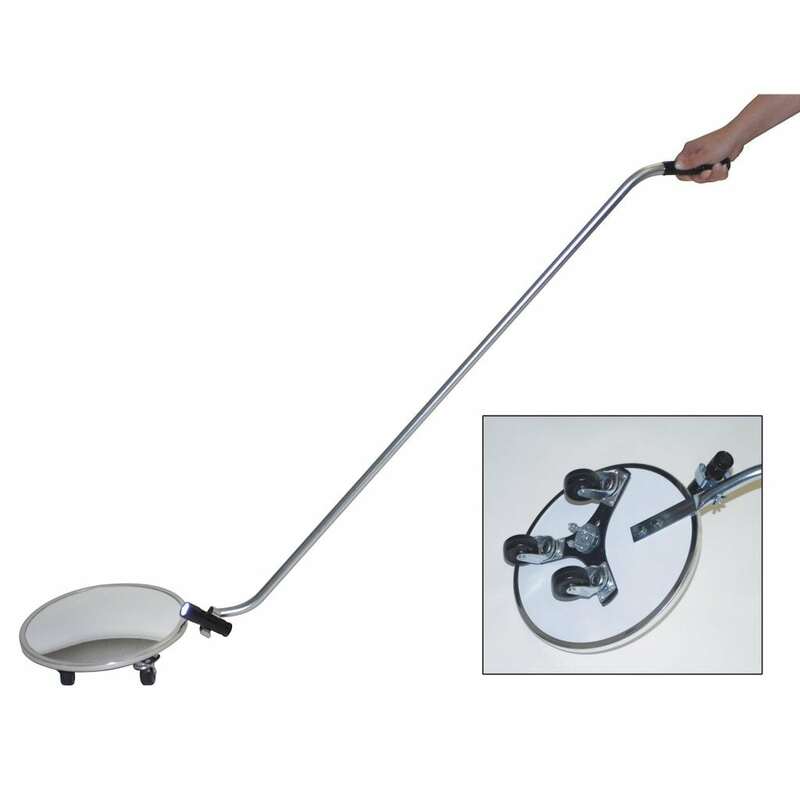 Options include swivel wheel carriage and/or clip-on extra bright LED Flashlight. Handle sizes vary from 35" to 50" in length, depending upon the model selected. © 2018 Se-Kure Controls®, Inc. Copyright © 2018 Se-Kure Controls®, Inc.